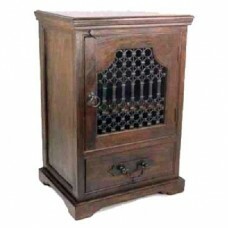 A superb high quality Indian Hi Fi Cabinet is made from Acacia, the doors have a Wrought Iron inlay to create a most unusual piece of furniture.It has been designed and made to fit neatly intoany living space of your choice. This item is constructed to a higher than normal standard to ensure our quality throughout. It will grace any room in your house. 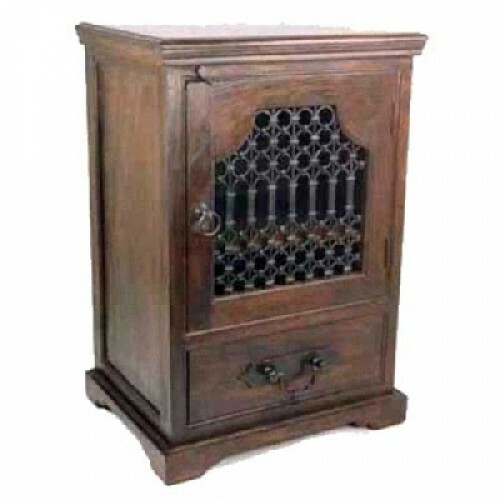 The picture of the Indian Hi Fi Cabinet is representative of the actual item, as it is a natural product there may be variations in the shade or the cut of wood. As with all of our Indian furniture, you will see that this is made from high grade solid timber. Please note that, where applicable, Indian Hi Fi Cabinet that all sides, tops and fronts are solid panels. The drawer runners are made from solid wood, not plastic. The backs and drawer bottoms are constructed from solid timber and NOT plywood, hardboard, cardboard or chipboard. When you buy this, you can buy with confidence because all of our furniture is built to exacting standards to ensure that, not only will it look beautiful and be fit for purpose, but it will stand the test of time and will grace your home for many, many years.